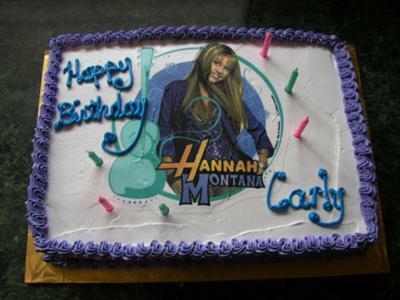 My daughter loves Hannah Montana so I ordered this cake with her picture on it. It was her 6th Birthday. All the kids thought it was cool!